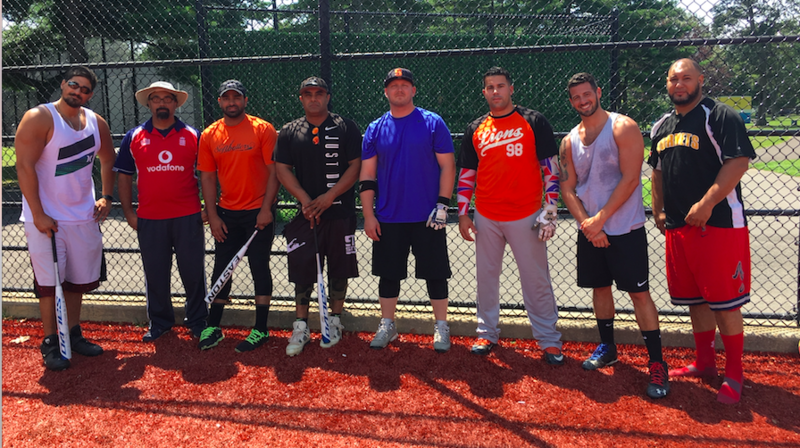 Yesterday, The South Asian Softball League held it’s annual All Star Day. This All Star Day tradition has been going on for ten years. Initially started as a random picnic in Bethpage State Park to a formal gathering that is done annually in Cantiague Park C and D.
Are you ready? #sasl All Star Day at 11:30am at Cantiague Park Field D.
The SUVS were loaded and at 11:00am Daddy Dar began setting up. With two grills running and Chef Majid and Griller in Chief Ayaz “BBQ’er” Dar in toe, the food began cooking at 12noon. A steady stream of cheese burgers, hot dogs and chicken kept the 60+ attendees full. On Cantiague Field D the events were held. Starting at 12:30 we had the SASL Running Man. In the fastest man competition we had an upset as Dheeeraj was disqualified for not touching second base. His time was 11.83 and would have been the fastest time. The all time record is still held by Shekeeb Khwaja who was in the 10 second plus mark. JD took advantage as he zipped around the bases for the fastest time just ahead of Hashim Naveed beating him by :00.11 to become the fastest man of the SASL in 2017. The Second event at 1:00pm was the Homerun Derby. A few changes to the derby were done this year. Cantiague Field D was secured for more homeruns. Everyone used standard bats. 3 bats were provided by the county which separated the men from the boys. You really needed to give the ball a ride in order for it to be a homerun. Each player was given 3 minutes to hit as many homeruns in round 1 with the top 4 players advancing. In round 2 the top 4 were given 2 minutes each. With the winner from that pool being the winner. Captain America aka Dan was given the #1 seed and went last. Below is the Live Stream of the Homerun Derby as it was going on. At 2:30pm we began the SASL All Star Game. The East versus the West. The Game was won by the West 9-5 with Dan Diolorio completing an amazing day winning the All Star Game MVP for his go ahead 3 run homerun in the 8th inning. 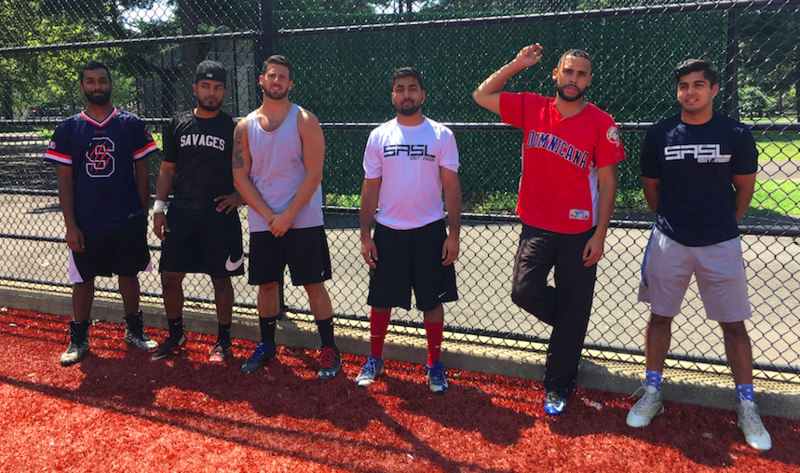 The South Asian Softball League had its closing ceremony and awards at 4:30pm. Awards were handed out and the day came to an end. #sasl closing ceremony with awards being distributed to the players. For cooking, planning and officiating!